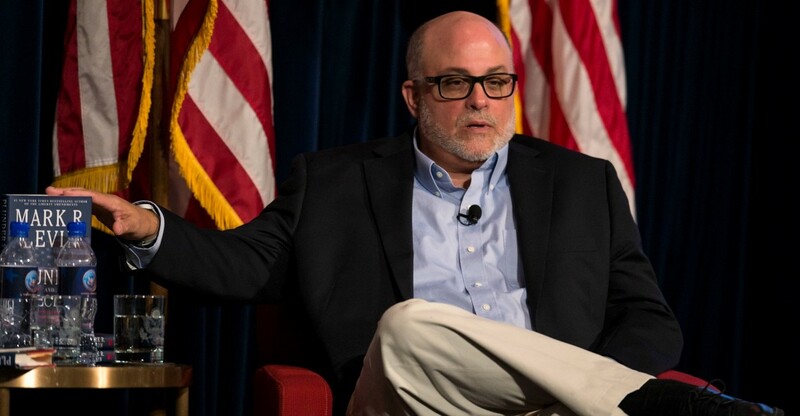 Levin was discussing a recent comments made by Chelsea Clinton, claimed that the “Roe v. Wade” decision legalizing abortion helped add three and a half trillion to the U.S. economy. (CNSNews) Chelsea Clinton’s claim that legalizing abortion boosted the U.S. economy isn’t just “very, very cold,” it’s “absolute idiocy,” Levin said Wednesday on his nationally-syndicated radio show. This is very cold – very, very cold. Abortion allowed women the freedom of working in the work force – or, as Andrew Cuomo might say, to be fully engaged. Listen to how she talks about it: But for abortion – of course, she’s preposterous – but, for abortion so many women wouldn’t be in the work force and we wouldn’t have had three and a half trillion dollars in our economy – absolute, idiocy. You know what? My grandmother, God bless her, my mother’s mother, she was an independent small businesswoman, independent small businesswoman. There was no ‘Roe v. Wade,’ there weren’t all these government programs – and, even if there were, she wouldn’t have asked for a single, damn dime from any of them. It never would have occurred to her to go to some office and fill out paperwork for this, that and the other. It never would have occurred to her. She was a small businesswoman. She didn’t make a lot of money. She took care of her children. That’s it. Her children, her live flesh and blood. Children. She didn’t need ‘Roe v. Wade’ to enter the work force. She entered the work force, like tens of millions of women are doing today – with children. Of course, we’ve got to throw out the phrases, ‘equal rights’ and ‘dignity.’ See, abortion is about ‘dignity’ – of course, not for the baby – it’s about death. It’s not about equal rights for the baby – it’s about death. that law ROE VS WADE IS A MADE UP LAW BECAUSE THERE IS NOT ONE THING IN THE CONSTITUTION THAT EVEN ADDRESSES THIS MURDERING ONE’S CHILD. politicians, LAWYERS, ALONG WITH THOSE STUPID JUDGES DECIDED TO MAKE A LAW. and it NEEDS REPEALED ALSP. Whether the mentally ill, crooked class really believe this is not the real issue, it is their desire to destroy this country and make into the image of Marx.